Black-engraved cross pendant, made in 0.925 sterling silver. Pendant measures 1 3/16" tall x 13/16" wide (30mm x 20mm). 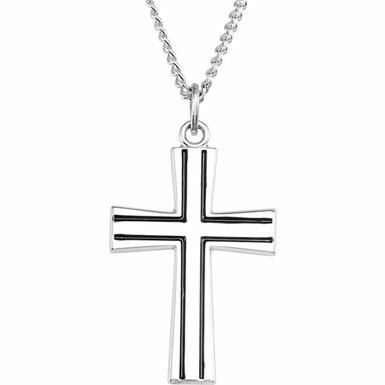 We guarantee our Sterling Silver Black Engraved Cross Pendant to be high quality, authentic jewelry, as described above.